Last Tuesday, I was pleased to be among the more than 130 people from the K–12, higher education, career and technical education, and workforce development sectors who gathered in Washington, DC, for the launch of the 2018 ACT Policy Platforms—a “Davos for policy geeks,” as event moderator Andy Rotherham of Bellwether Education Partners put it in his opening remarks. The purpose of the event was to shine a new light on the demands being placed on our education and training systems by the changing US economy. Case in point: Five years ago, the Center on Education and the Workforce at Georgetown University predicted that by 2020, 65% of a projected 55 million available jobs—a great many of them new openings in healthcare, community services, and STEM occupations—will require training beyond high school. Yet we also know that many groups of students—especially first-generation college students, students of color, and low-income students—face challenges and barriers to postsecondary readiness and success that have yet to be fully addressed. The ACT Policy Platforms, informed by ACT data and research and by industry best practices, are intended to guide federal and state policymakers toward focusing on the unique challenges of preparing all students for college, training programs, and ultimately the workforce. These challenges include scaling up services and leveling the playing field for all students. For example, ACT’s K–12 platform recommends that states take full advantage of the flexibility offered by the Every Student Succeeds Act to better support student learning through a variety of nonacademic interventions such as social and emotional learning skills instruction, supplemental school nutrition, and school-based mental health programs. The policy platforms are also intended as a guide for ACT, and we are scaling up our own efforts to support students accordingly. 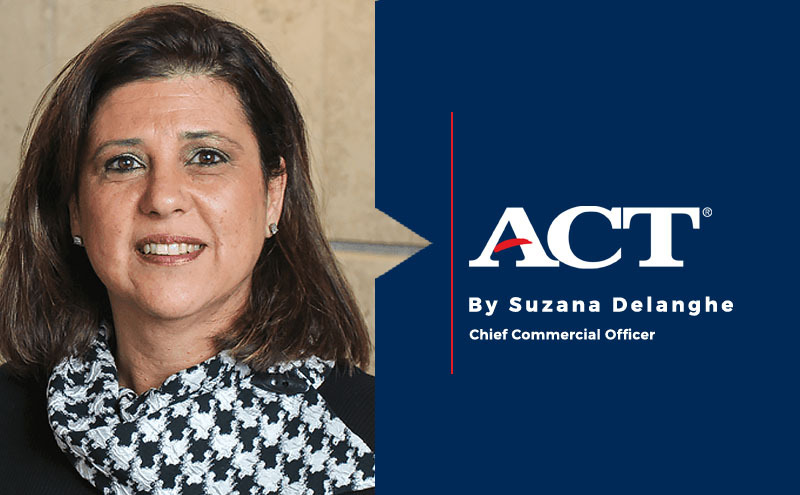 ACT knows that many students—and especially students from underserved backgrounds—need additional resources. We also know that students who are exposed to targeted assistance programs outperform and enroll and persist in college at higher rates than their peers who do not participate in such programs. In the past month, therefore, we’ve announced plans to allow low-income students to better explore their college options by providing them with additional free ACT score reports to submit to prospective colleges and universities. I’m also excited that we will be launching ACT Academy, a free online learning tool designed to help students master the skills they need to improve their readiness for college and career. These kinds of supports help level the playing field for all students, and ACT is committed to offering them and to looking for additional ways to support all individuals in their academic and career endeavors. I’m proud of ACT for advancing these efforts. I also know, however, that they are just part of the solution to meeting the demands of the changing economy. I look forward to engaging with other educators, advocacy organizations, and businesses in new efforts and opportunities to close achievement gaps and support all individuals in their pursuit of college and career readiness. I encourage you to read our new policy platforms—and then let’s talk.